President Donald Trump hired a Republican strategist and digital aide to join the White House technology team on Thursday. 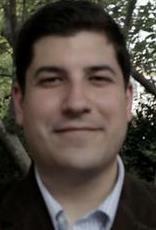 Matt Lira will serve as a special assistant to the president for innovation policy and initiatives, according to reports. Lira worked for House Majority Leader Kevin McCarthy, R-Calif., where he aided efforts to pass a bill that allows tech engineers to serve brief tours of duty for the Federal government. Former President Barack Obama passed the bill during his final days in office. Lira had faith the Trump administration would pass the bill even if Obama couldn’t, he told Wired in January. Lira served as top aide to the National Republican Senatorial Committee, worked as a senior adviser to former House Majority Leader Eric Cantor, R-Va., and worked as a digital director for Rep. Paul Ryan, R-Wis., while Ryan was running for vice president on GOP contender Mitt Romney’s 2012 presidential ticket. The White House is slowly pulling together its technology team. It hasn’t yet named a Federal chief information officer, but Grace Koh was named the special assistant to the president for technology, telecom, and cybersecurity in February, and Michael Kratsios was named deputy chief technology officer earlier this month.